Hey look! It's another year. That's gotta be like six or something. Character profiles in the Guidebook now also have an image gallery underneath them. So far I've added images for the first three games (totalling over 1000 newly uploaded screenshots) and over the next week or two I'll be adding in the rest of the games as well. I've also added in profiles for a few baby dragons that I had accidentally skipped over previously. As part of a Guidebook update that's in progress, I've tagged all of the images in the game galleries (e.g. Dawn of the Dragon) with the characters that they contain. Earlier this week I added a new way for you to quote posts. It allows you to select several posts to quote in one go in order to respond to them all. To use it simply click on "Multi Quote" at the bottom of each post you wish to quote and then on the "Multi Quote" button that appears just above the message box at the bottom of the page. It will quote each message in chronological order and create a gap between them. If you mistakenly selected a post just click the red "Multi Quote" text and it will not be quoted when you click the button. You may also have noticed that topics which you are subscribed to now have a link at the top that says Unsubscribe instead of Subscribe. You can unsubscribe by clicking it instead of going to the subscription page. The subscription page will also now indicate if a topic is closed. Oh yeah, and you can now have avatars up to 30KB. Just to let you know, I've changed the purge rate so that now topics in certain forums close faster than in others. Any boards not mentioned do not have a purge rate. This should help a bit with the problem of people posting in topics that are dead. Please remember that it is of no real concern for somebody to post in an old topic on a board where there are very few topics. The latest trilogy of Spyro games also had accompanying mobile phone games but for some reason I didn't get around to writing a walkthrough for the second part, The Legend of Spyro: The Eternal Night... until now. Can't find your way through the maze like levels? This brand new walkthrough should help! There's also a bestiary for the game which details all of the enemies and their weaknesses. Since it's December I've rolled out the decorations and put some snowflakes on all of the banners. Merry Christmas! I first mentioned it in July of 2004 and now it's finally complete. 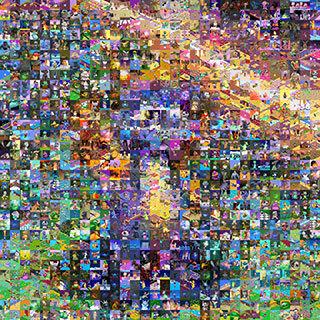 The Character section of the Guidebook now has every single character from every single Spyro game in it. You can now search the game pages using the brand new search box in the side menus. If you encounter any problems with it please let me know. 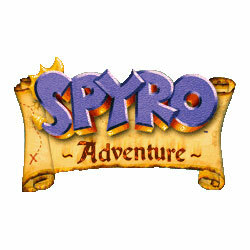 The last major version of a Spyro game that didn't have walkthrough on this site has now got a walkthrough on this site. So, if for some strange reason you were stuck in the main parts of the Nintendo DS version of The Legend of Spyro: A New Beginning and you didn't feel like reading the existing walkthroughs on GameFAQs - you can now use the utterly pointless walkthrough for that very version of that very game. They've been there for years but I might as well mention that there are also visual solutions to all 80 of the Power Crystal Puzzles in the game should you get stumped on any of them. You can now make the forum fill the entire width of your browser. Simply check the 'View Widescreen' option in your profile to turn it on. As topical as ever, the walkthrough to The Legend of Spyro: The Eternal Night on the Nintendo DS is finally complete. Fight your way from a murky purple nightmare world all the way through to the crystal clear fight with Gaul at the very end and all of the stuff inbetween. And make sure to pick up all those old bits of Dragon Scales and Teeth along the way. You can now add a message to the top of your guestbooks that stays there. I don't know what the point is but I guess you can put some information there about yourself or something. Do whatever you like with it really. To change it simply go to the bottom of the Profile Options page and enter it into the Guestbook Announcement box. I've added some new formatting tools that hopefully work. Just highlight sections of text and click the buttons above to add the BBCode formatting. Wonderful. I've also recently added a dropdown list when creating a topic so you can easily post the topic to a different forum to the one you were on when you clicked Create New Topic.